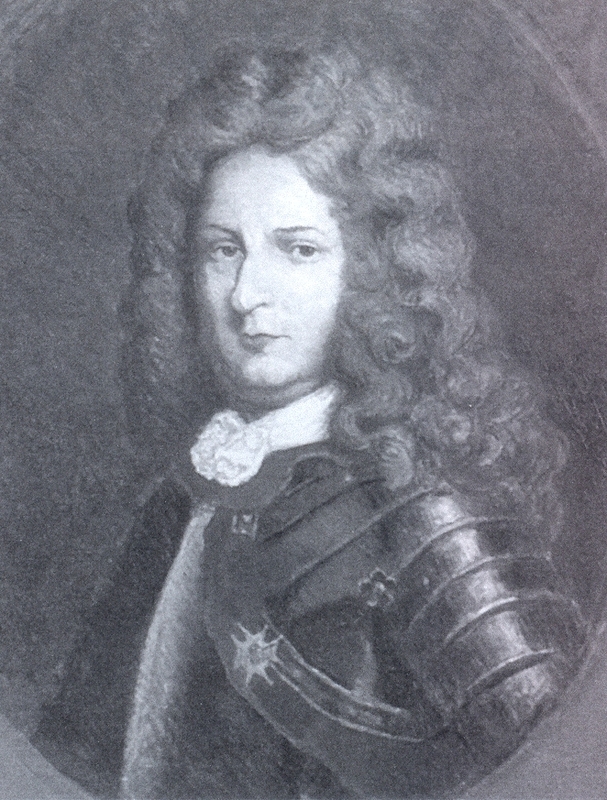 Historical Biographies, Nova Scotia: Pierre Le Moyne, Sieur d'Iberville (1661-1706). Iberville's father, Charles Le Moyne, at the age of 15, sailed from France to the new world as an indentured servant of the Jesuits. Le Moyne was to rise from an odd jobs man at the Jesuit missionary to being one of the "wealthiest citizens of Montreal"; all, it would appear, because of his fur trading activities. Charles married Catherine Thierry and the couple were to have two girls and 11 boys. The third oldest boy, Pierre, is the subject of this biographical sketch. Born at Ville-Marie (Montreal), Pierre Le Moyne (Sieur d'Iberville) received his early education at the Sulpician seminary, Montreal. Thereafter, Iberville, together with two of his brothers, was sent off to France to be entered into the navy. Thus is was, that Iberville was to return to Quebec as a young French naval officer, ready to serve his king in the French cause. One of the principal theatres of early conflict between France and England was upon the Hudson Bay. Here there were northern rivers, which, with their spring flows, brought a wealth of the finest animal pelts Europeans were ever to see -- there, at the mouth of these northern rivers, laid out on the bottom of native canoes. In 1686, the French determined to go overland in order to capture the English outposts which had been established on the Hudson Bay. The Iberville brothers, including Pierre, were to play a principal part in this raid upon the English in the north. This overland trek by the French was but another example, of which there are a number in early Canadian history, where Frenchmen covered incredible distances, by foot and canoe, under the greatest hardship, over mountains and rocky terrain, in the cruelest of climatic conditions. These amazing Frenchmen, in their surprising raid, were to dispossess the English of their holdings at James Bay. During the winter of 1687-88, we find Iberville back in France impressing both the royal court and the French market of the importance of the northern fur trade. The following summer, Iberville was back at James Bay in the French war ship, Soleil d'Afrique.1 His intention was to load the collected pelts and sail out, but plans had to be changed when three English ships arrived on the scene. The confrontation turned into a stand off and before any of the vessels could make a run for it cold weather took over and everyone was frozen in for the winter. Iberville, presumably still aboard the Soleil d'Afrique, was able to clear James Bay in the spring of 1690, and, capturing English vessels en route, arrived at Quebec, his ship loaded with English prisoners, booty, and bundles of the finest northern furs: his fame continued to spread throughout the colony. By 1691, Iberville was once again at Hudson Bay with Bonaventure. They evidently cleared Hudson Bay and carried their rich fur cargo to the shores of France. In the spring of 1692, Iberville was to set out in command of one of two French war vessels: the Envieux and the Poli. These armed vessels, in 1692, convoyed 12 merchant vessels to New France. This was a routine, seasonally back and forth, France and New France, which Iberville was to follow at least to 1696. Though, in 1697, he was once again in the Hudson Bay where he successfully attacked Fort Nelson, by 1698 Iberville had left the north -- not to return again. It was in that year that Iberville was to take up his trade in a much warmer climate; he was to become instrumental in the French expansion to the mouth of the Mississippi. It was in 1698 that Iberville led an expedition to Louisiana, there he was to thoroughly explore the mouth of the Mississippi and its lower reaches. For the next five years Iberville continued with his southern exploits, though likely interspersed with trips back and forth to France. In 1703, Iberville was named the first governor of Louisiana. In 1706, Iberville, again shifting his attentions to another part of the new world, laid waste the islands of Nevi and St. Christopher in the West Indies. Iberville was to suddenly die at Havana8 during the month of July of 1706 of an unspecified illness. After his death charges flew from all directions, all leveled against Iberville, charges which caused much resentment among the Le Moyne family. He was charged with embezzlement, the carrying out of illegal trade, and evasion of taxes which were due to the king and the admiral.9 His family, in the last of these years were to be located in France residing on a French country estate which Iberville had bought just outside of Rochefort. The Soleil d'Afrique was to prowl Acadia waters in 1691 under the command of Bonaventure. Though the winter of 1690/91 was an exception, it would appear, that Iberville spent most of his winters in France. This was likely so, because, as a French naval officer, he would accompany the fall convoys back to France, and, in the spring, to New France. Webster's work on Villebon, p. 180. Likely the only time Iberville was to come to Acadia; see blupete's History of Acadia. Webster's work on Villebon, p. 182. Iberville was buried in the yard of the Church of San Cristóbal, Havana. From one of my correspondents, I have learned: "D'Iberville was buried near the port of Havana in Habana Vieja, but the exact location of his remains was lost ... But, there is a plaque honoring him, and a picture, in Havana's City Museum, in the general area where his remains were last known to have been. ... And more than that 2-3 years ago, some people from Quebec City had a statue of him erected on Havana's Malecon." Bernard Pothier, the author of the entry into the DCB, writes: "About 15 biographies of Iberville have been written, but most are of little value. The most important biography is that done by Guy Frégault, Iberville le conquerérant (Montréal, 1944) ..."